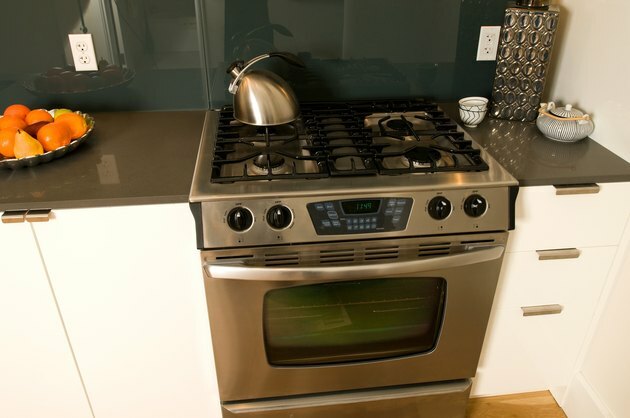 You may need to move a stove if you purchase a new one or if you ever need to clean behind the one you currently own. Moving such a large appliance can be difficult and dangerous if attempted without proper safety and planning. A small stove that features two burners usually can be moved by one or two people without equipment, but larger stoves that have four or six burners will require the use of a dolly. Enlist the help of another person before moving a heavy stove. Grasp the front of the stove and slide it outward a couple of feet. Unplug its power cord and unscrew the gas line. 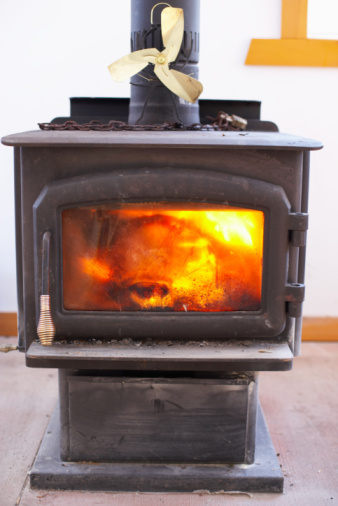 You must shut off the gas line before disconnecting it from the stove. 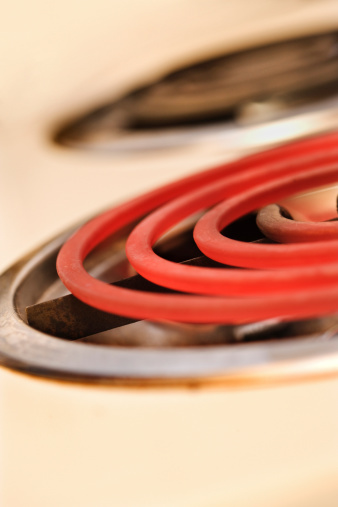 The gas line shutoff valve is located near the gas meter; there also may be an appliance shutoff valve on the gas line connected to the stove. Turn the value to the "Off" position. Slide the stove into the middle of the room for easy access. Use two people if the stove is very heavy or doesn't have wheels. Slide the stove into the new area if you're merely moving it a few feet. Lift one edge of the stove while a second person slides a dolly under it once it's away from the wall. Lower the stove onto the dolly. Even if your stove has enough of a gap to slide a dolly under it without lifting, you should still slide the appliance away from the wall to avoid possible damage to nearby cabinetry and countertops. Wrap a ratchet strap around both the stove and dolly. Tighten it until the stove is firmly strapped to the dolly. Tip the stove toward the handle of the dolly as someone else pulls the dolly. Wheel the dolly to the location where the stove is being moved. Lower the dolly carefully. Remove the ratchet strap. Tip the stove away from the dolly, then slide the dolly out from beneath the stove. Slide the stove into place.